Launched just this week, Nourish is an initiative that is developing a two-year leadership development program for innovators shaping the future of food in Canadian healthcare. According to their website, the national cohort will be supported to increase the role of food in patient care and community well-being. The cohort will be supported by facilitators, mentors, and partners who are committed to a co-learning, co-practicing approach to systems change. The cohort will work collectively on the challenges and opportunities of leveraging health care institutions to be anchors of health, within and beyond their institution. 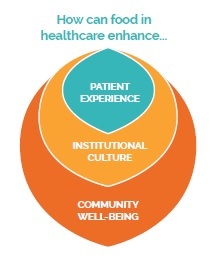 Their central question is: How can food improve the patient experience, institutional culture, and community well-being? Nourish is recruiting 25 people from within healthcare across Canada who want to reconnect food, culture, and health. Specifically they are looking for people who influence menus, food purchasing, and community health programming. Apply online by October 1.
other influencers who want to develop a culture of food for health, within and beyond their walls. Not sure if you’re right for the program? Register for upcoming webinars on Aug 9, Aug 31, or Sept. 8 and see FAQs to learn more. During the two-year Nourish program, each innovator will work on a related goal or project at their organization. The selected cohort will be supported by an ecosystem of mentors and facilitators to develop strategic, technical, and leadership capabilities to bring a transformative conversation to their organization, and position it as an anchor of well-being in their community. 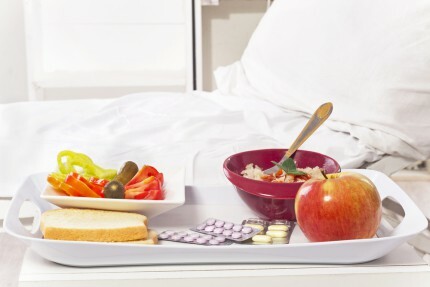 Within broader framework of food in healthcare across Canada, Nourish will work to address the health gap that exists between indigenous and non-indigenous communities across the country, by aligning program efforts with the relevant Calls to Action of the Truth and Reconciliation Commission of Canada. The program design will include engagement with indigenous advisors, an indigenous circle, and will design programming with an eye to creating a culturally safe space that increases the cultural competency of the cohort members and its partners. We encourage institutions that primarily serve or are lead by First Nation, Metis, and Inuit persons to apply, and for their applicants to describe how they would most like to be supported in the cohort. The program is an initiative of The J.W. McConnell Family Foundation which subsidizes major costs. Selected applicants will pay between $3,000 to $5,000 for the two-year program and will be asked to indicate in their application what amount they are able to pay on this sliding. If the program cost is prohibitive, scholarships can be requested on the application form.